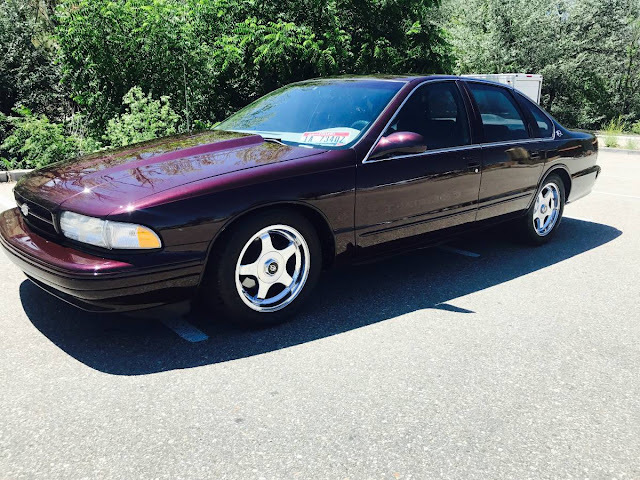 The 7th generation Chevrolet Impala was released in 1994 on a B-body platform that was shared with the Buick Roadmaster, Chevrolet Caprice, and Oldsmobile Custom Cruiser. It was 9 years since the Impala badge had been retried and the revived machine was basically a high performance version of the Caprice. Find this 1995 Chevrolet Impala SS offered for $5,000 near Boise, ID via craigslist. 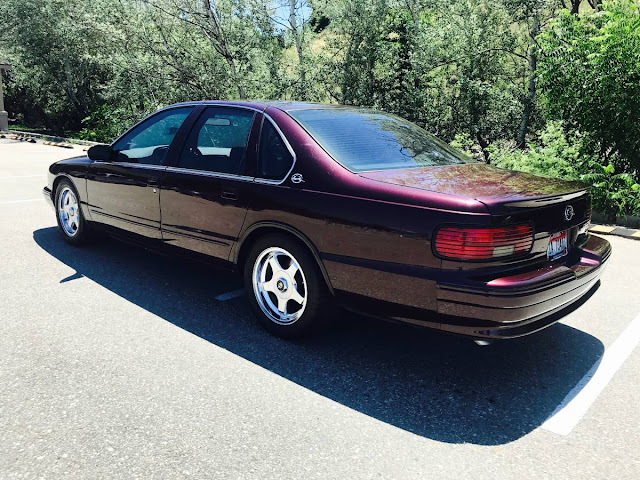 The seller claims the car runs/drives well and the purple paint looks decent, if you are into purple paint. Yeah must have had some difficulty selling it and dropped the price. The hood is certainly not factory original. I have always liked these, purple paint and all. My mom almost bought one back in the day. Boy, I wish she had so I could have burned some tires in one. We ended up with a Chrysler Imperial. Needless to say tire burning was not associated with that car. Too bad it's not a 1996; the only year with an analog speedo and floor shifter. True, but 95's and lower easier to tune due to OBDI....rumor has it they made a bit more power too.